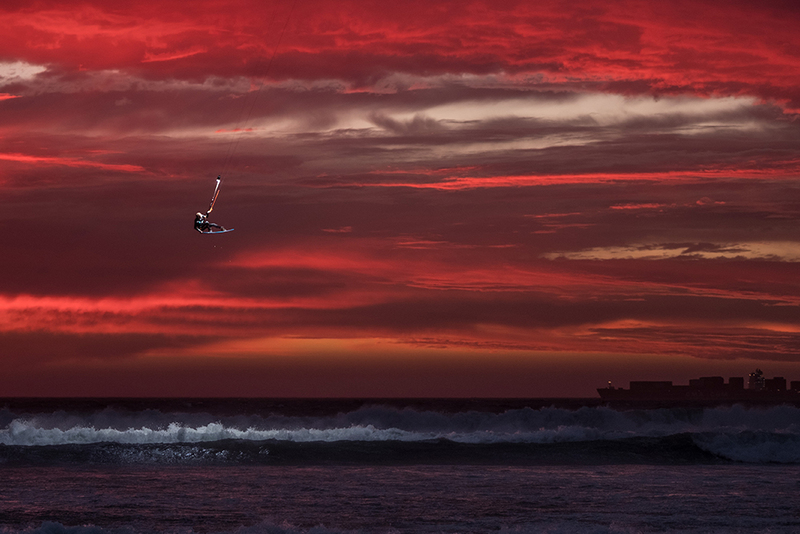 Cape Town is an epic adventure destination for kitesurfers. There are tons of great spots to explore and test your skills in the mighty Cape of Storms waters. 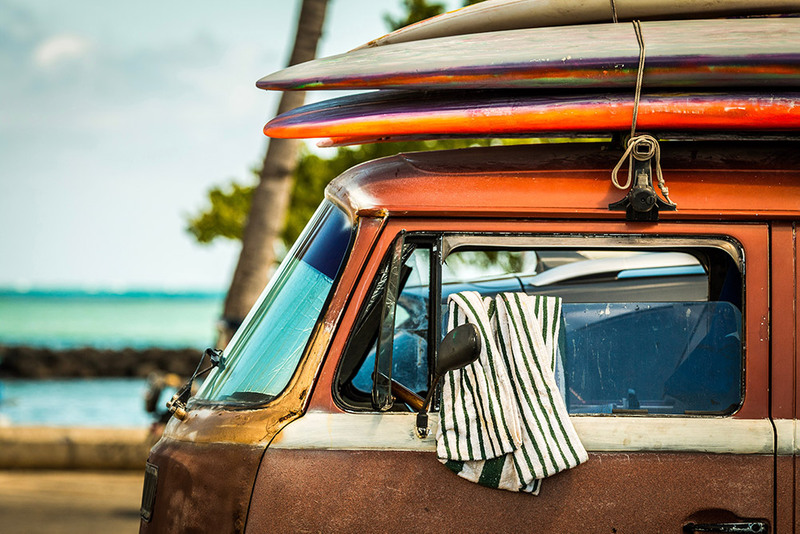 It’s great if you can find accommodation within walking distance from the beach, but the rest of the time you will need a car with a sturdy roof rack to transport your board. 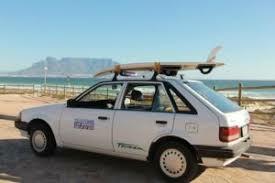 Luckily there are cheap car rental companies that offer roof racks as extras in Cape Town. But you don’t want to pay an arm and a leg just to travel down to the beach, so we’ve hunted down a few affordable car rental companies for you to consider. You don’t need a fancy car to transport you to the beach. There are car rental companies that specialize in cheaper rentals. RentaCheapie was established in 2006. It started out with a friendly exchange between neighbours. From the first cheapie Golf being hired out for R100 per day as a favour, it soon grew into three old Chico Golfs, rented out from a double garage. Soon word got out, and more and more kite and wind surfing travellers booked a cheapie for their beachside holiday. Random fact, in Paris the Chico Golf is a bit of a fashion statement. Cheap and reliable is back in fashion! The fleet grew from 3 to 50 cars. 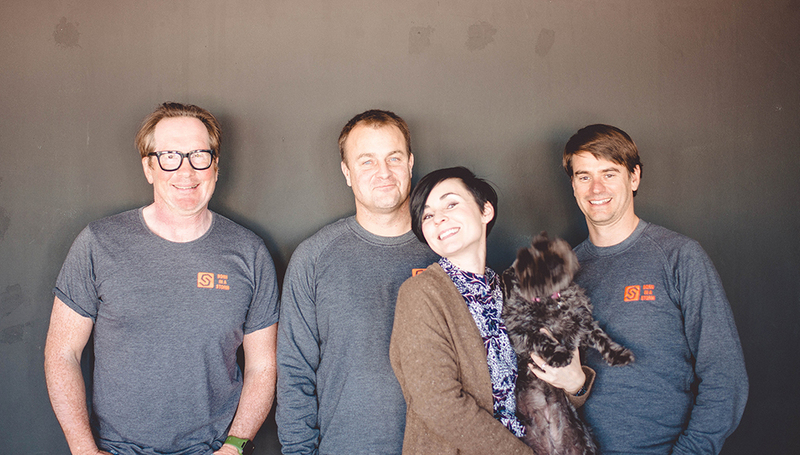 The RentaCheapie team is almost like a close-knit family, with great job creation for 30 staff members. Just over ten years later, they have over 350 vehicles in their fleet, and their prices are still close to R100 per day. The cars range from the budget Chico Golfs, to 4×4 Toyota Landcruisers. Additional services include vehicle cover and 24/7 roadside assistance. This is a great option for cash car hire in Cape Town. They offer both one day and monthly options. 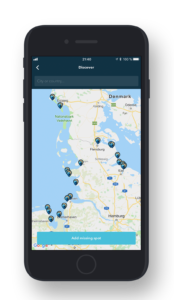 The company was started after noticing that there was a need in the market for offering affordable car hire, without requiring your credit card to kick off your holiday. The fleet started with only two cars and has now grown to over 200 vehicles. Rental options range from affordable cars, to bakkies and busses (7 and 10 seaters). It’s located conveniently close to the Montague Gardens MyCiti bus terminal, so you can travel here effortlessly from the airport. Comprehensive insurance cover is included in the rental price. Extras include baby chairs, GPS units, and roof racks. Fun Car Hire was started over a decade ago. They now have a fleet of more than 50 cars. It’s a family business with a great personal touch. Their speciality is the classic Beetles. Other affordable old cars include the Mazda Sting and Citi Golf. But they also offer more modern models such as the Kia Picanto, Jeep Cherokee and Mercedes Benz. Older cars do have the possibility of giving you possible hiccups along the way, but their 24/7 roadside assistance means that you don’t have to worry about getting stranded. Remember to treat the classics with TLC to ensure that you have an enjoyable rental experience. Whether you decide to book one of the older models or ride in style with a more modern model, hiring a car for your kitesurfing holiday is definitely worth it. The independence a rental car gives you is a big bonus! North Kiteboarding will be relaunching in August 2019. 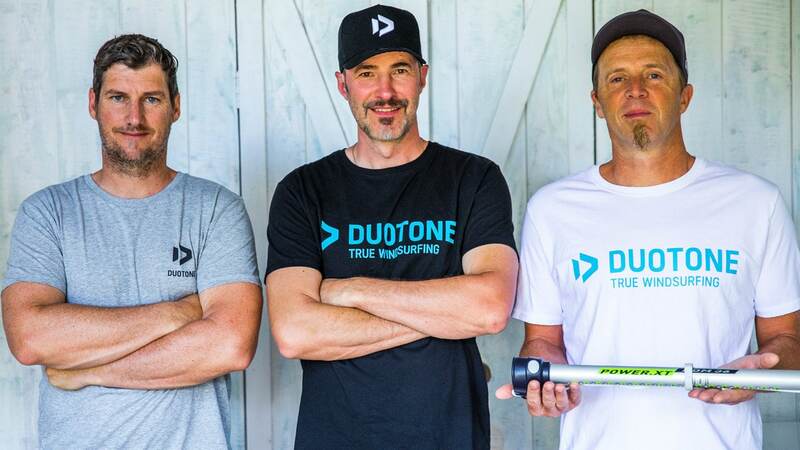 After the decision of the North Kiteboard management team (including the design and rider teams) to create a new brand called Duotone, it seemed the beloved brand would slip away forever. But a group of highly experienced industry individuals, with more than 20 years of combined experience, has decided to continue with the North Kiteboarding brand. The new team members worked as design managers for companies like Neil Pryde (Cabrinha). The change also includes a new business model. Tom Whidden, CEO of North Technology Group (NTG), feels that there is an abundance of technology available within the group that can be harnessed to share the passion for the wind and waves with the loyal brand followers. He believes that sailing and kiting are both equipment-driven sports. And the better your gear, the more you will be able to enjoy the water sports. The company was officially started in 2001. They jumped on the kiteboarding bandwagon right in the beginning, becoming one of two industry leaders to dominate the sport. Their strategy was simple. Produce great kites with brilliant designs, created by a passionate and strong team. North Kiteboarding originated from a company called North Sails. Started by Lowell North in 1957, it grew into the largest global sail manufacturing company. It all began with just a simple conversation at a bar. Becoming fascinated with wind technology, Lowell kept improving from his first make-shift sail for a friend. He investigated the latest technology available, and soon became a world-famous sail producer. Windsurfing started to emerge as a sport in the 80’s and 90’s and Lowell was instantly fascinated with it. 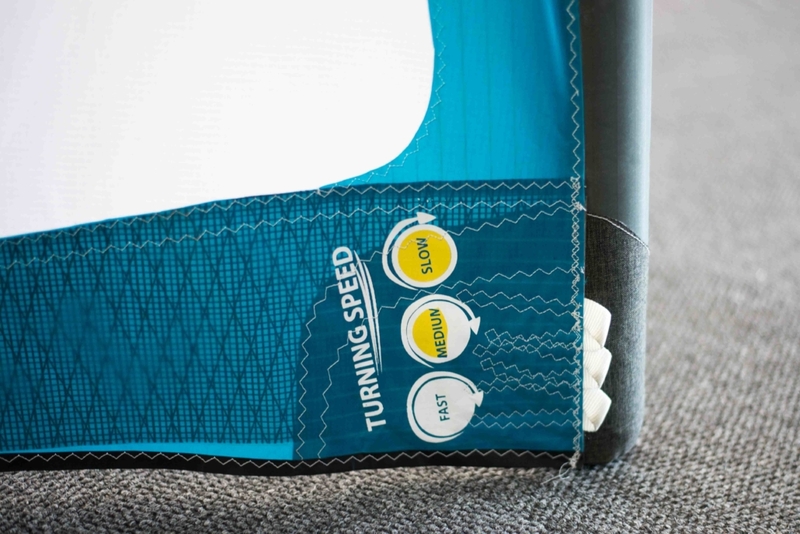 North Sails started to develop ground-breaking wave sails for the kiteboarding fanatics. They created some of the best and fastest performing wave sails. But then in 2000 the North Sails brand was sold to a parent company called Boards and More. The North Kiteboarding brand was sold before it even really took off. The brand was kept but the company grew into a whole new business. They became just as famous and successful as North Sails. A similar business philosophy was followed. And the two brands have one other big thing in common, always willing to explore new technology trends. North Kiteboarding has always been a proud innovator in the kiteboarding community. 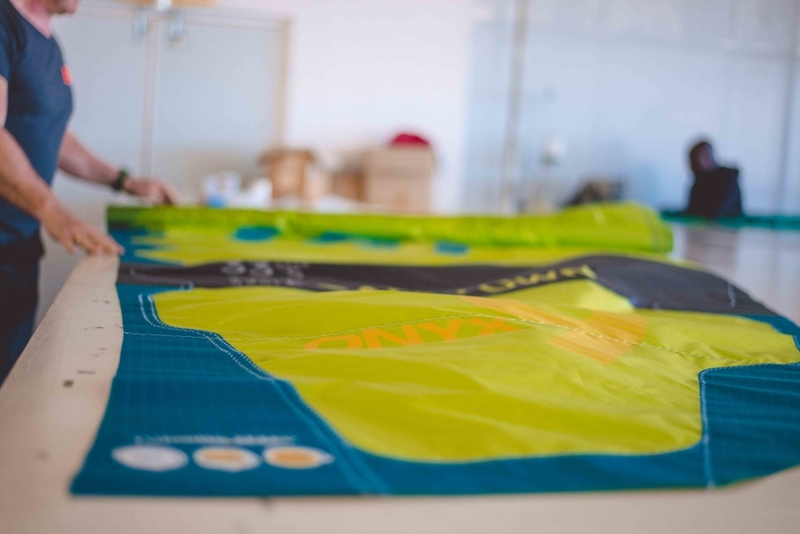 They challenge themselves to create innovative gear that enhances the kiteboarding experience. Always striving to create high-quality gear, the brand has remained a firm favourite among kiteboarding enthusiasts since its humble beginnings. The North Kiteboarding team will create a whole new brand experience to build a fresh connection with the kiteboarding community. 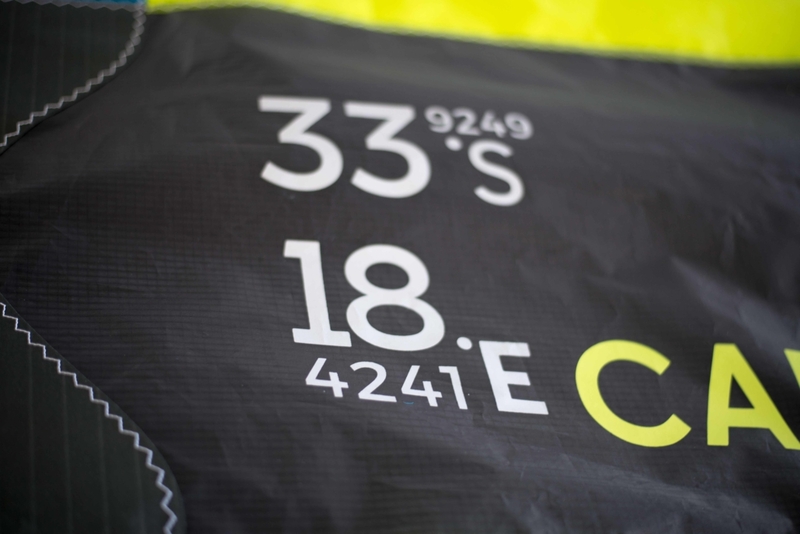 On the technical side, it will still be managed under the brand license holder, namely North Sails. But a whole new management and design team will be responsible for creating epic kiteboarding equipment, with brand new product names. The new brand leaders include David Meade, Mike Raper (20 years at Neil Pryde), Klaus Warkentin (Cabrinha), and Hugh Pinfold. The North Technology Group (NTG) has decided to investment both time and money in the North Kiteboarding brand. This change of direction comes after the end of a third-party licensing agreement. Now the brand will be managed from the home office again. NTG will now again be involved in the design, innovation and manufacturing of products. The company is excited about the new world-class management team that will create brand new products, including all wind-powered craft components – from technology and foils, to masts and boards. North’s unparalleled technology innovations will be harnessed in a fresh new way. 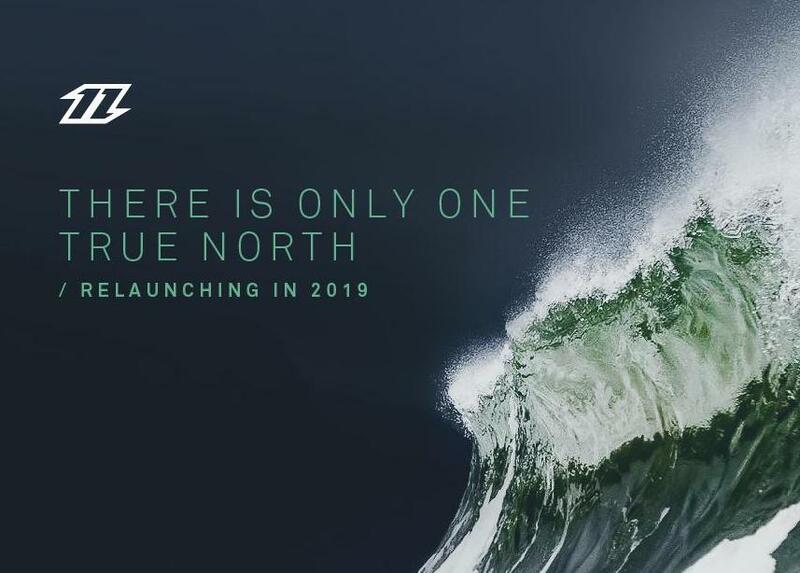 The first new North Kiteboarding product range is scheduled for global release in August 2019. North Kiteboarding’s new team will tap into the NTG resources to create exciting new products that the loyal North riders as well as the broader kiting community will greatly enjoy. Mike Raper, North Kiteboarding’s Director of Development and Brand, feels that this new venture is an exciting prospect for the industry in general. 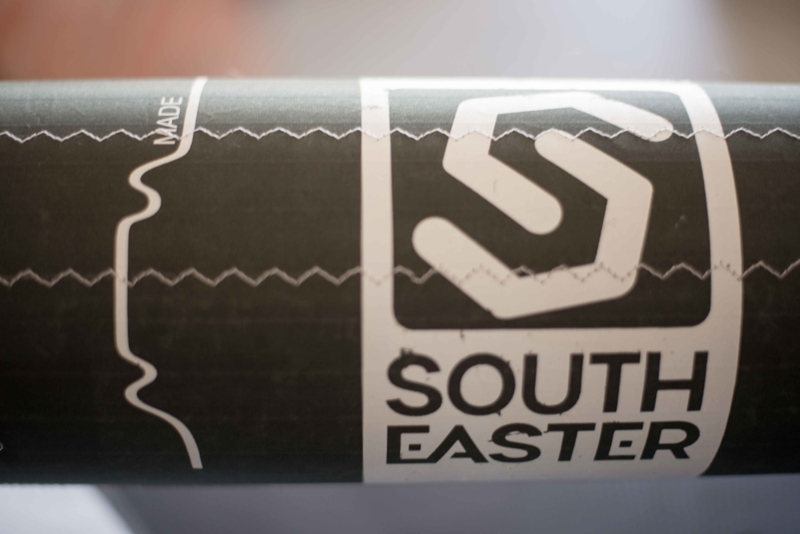 Blowing a wave of fresh new air into the brand’s sails the new team is keen to share innovative, new products with both retailers and riders. The North Technology Group has made great progress in the industry. Their success with America’s Cup hydrofoiling, mast innovations as well as North 3Di composite sail innovations has made the world sit up and take notice of the company. The unique solar airplane prototyping is another ground-breaking step they’ve taken. All these specialised technologies can now be adopted and incorporated in the kiteboarding products that the North Kiteboarding brand will develop. The North Kiteboarding’s new management team includes highly experienced industry leaders and innovators. 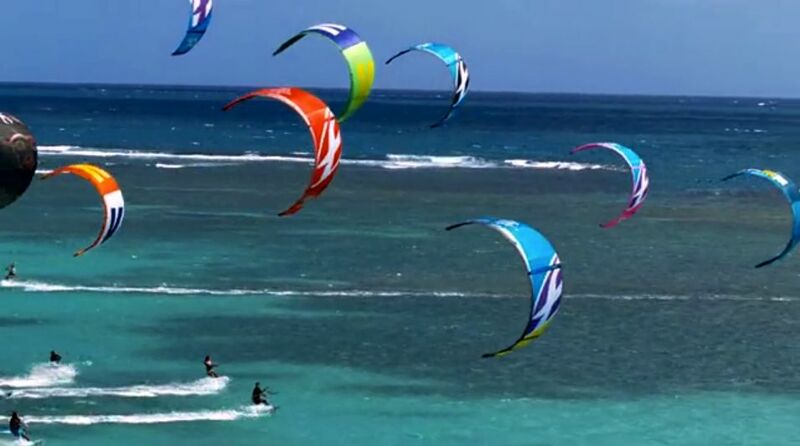 They are excited about making kiteboarding a more sustainable, innovative, exciting and accessible sport worldwide. North Kiteboarding’s Director of Manufacturing and Operations, David Mead, is very excited to be working with NTG’s composite designers and engineers. He wants to harness his team’s passion and industry experience to produce a range of high performance gear. He feels that the future holds great opportunities for the revived brand, incorporating NTG’s extensive aero and hydro knowhow into products that will impress the kiteboarding community. North Kiteboarding is excited to return to the wind innovation home. Their journey started with the North Technology Group and it has now made a full circle return to it again. NTG is also very excited to have the brand back on board with them, keen to innovate and produce products that will impress the kiteboarding fanatics that have stayed loyal to the brand over the years. Join in on the conversation on their social media channels, on Facebook @Northkiteboarding and Instagram @north_kiteboarding. Follow their exciting new journey by using #Northkiteboarding. To stay in the loop, you can register for direct email updates. These are available to both retailers and fans of the brand. How does nine months of reliable wind, good weather and epic waves sound to you? 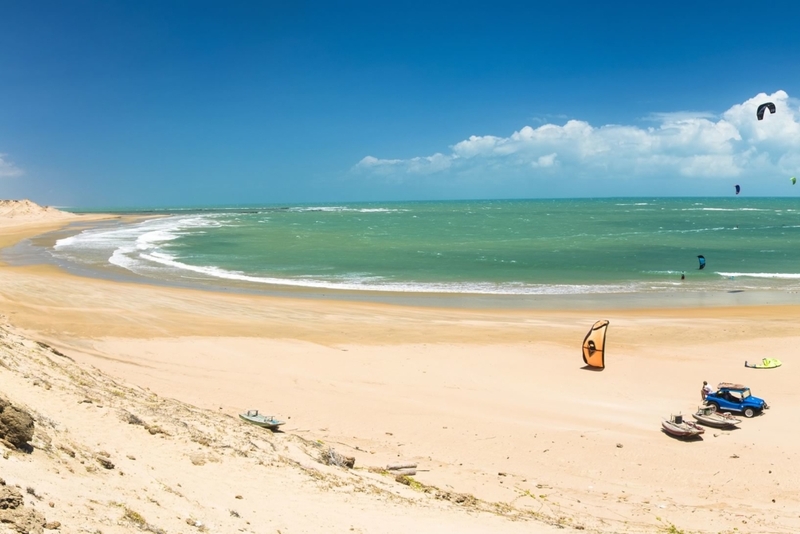 Brazil‘s Atlantic coast is a kitesurfer’s dream come true. If you want to challenge yourself with a combo of perfect conditions, physical exertion, and technical know-how – book your ticket to Brazil now. Not only is the weather amazing from June until the end of December, the water is on average a delightful 28 degrees. You can hunt down the wind if it’s not so good at your current spot. The more North you go, the better the kiteboarding conditions. 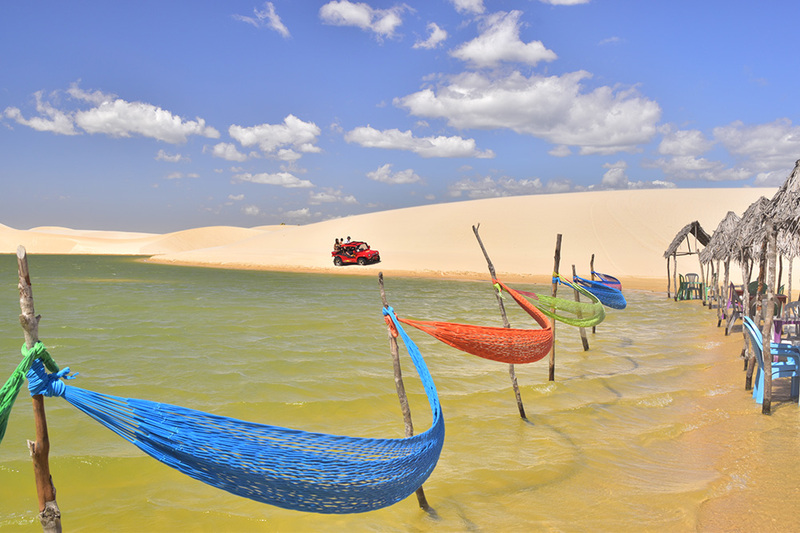 Here’s a list of the best spots we recommend for kitesurfing in Brazil. This little beachside village used to be a quiet fishing hamlet. Until the 80’s when word got out about how lovely it is. Now the place gets swamped in season by holiday-goers and surfers alike. The kiteboarding on the main beach is a bit limited at times because of its popularity. If you travel a little bit further to Preá, about 15km (9.3 miles) down the coast, you can indulge in a quieter surfing session. 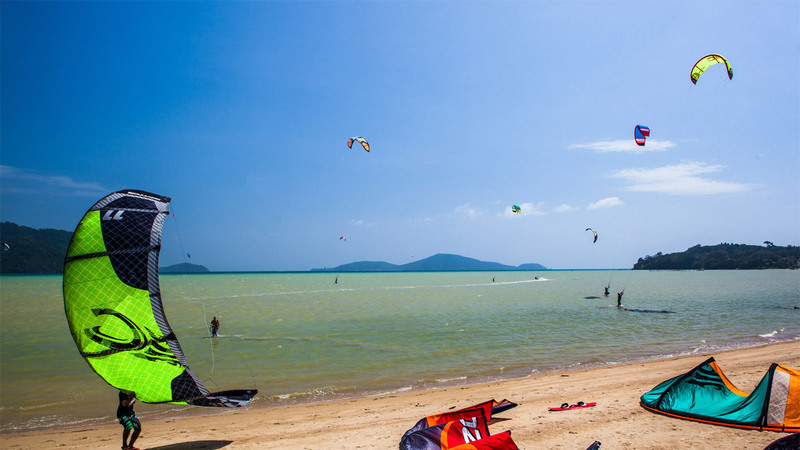 When visiting Atins you’ve reached one of the Top 4 Kiteboarding flatwater spots worldwide. It is situated in a river delta by the sea, with an amazing national park on its doorstep. You can keep yourself busy for days here, with various types of conditions to choose from. Play around on the river delta’s flat water, explore the unique shallow lagoons formed between the dunes, or challenge yourself on the choppy waves of the open sea. Atins is a small fishing village that has been transformed into a kitesurfing hub, with a number of quaint Atins kitesurfing guest houses and pousadas. The conditions are perfect. It offers you constant cross-shore winds, access to shallow warm waters, and endless flat waters. Visit in the windy season from July to January and you can enjoy winds between 15 to 30 knots. 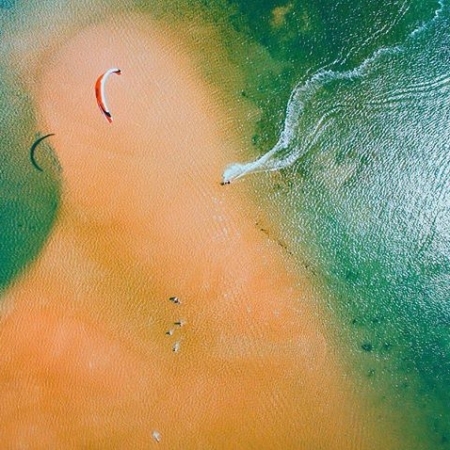 During the rainy season from November to May (with the peak rainfall in December to February) the sand dunes are transformed into a kiteboarding paradise. The little dips and valleys between the dunes are filled up with freshwater, creating seasonal lagoons. This happens because the rocks beneath the sand prevents the water from draining. The desert was declared a protected area in 1981, it’s 383,000-acre (155,000 ha) in total, with 70 km (43 mi) of coastline. Reaching this idyllic spot is worth the effort. It’s 250km (155 miles) West of Jericoacoara, another challenging spot to get to. The little sleepy town is perfect for serious kiters. The seawater lagoons are ideal to become better acquainted with the sport. And it can still provide enough challenges for the pros to enjoy it as well. The wind blows at a constant 18 to 28 knots. And next to the stunning lagoons you can lounge on the silky soft sand. 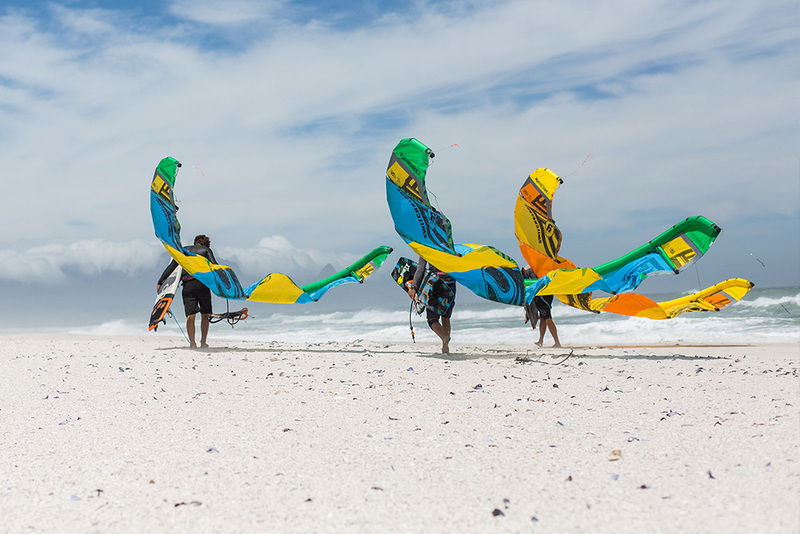 It’s one of the top kiting resorts of the country. This one can be reached effortlessly, it’s only a 30-minute drive from the international airport in Fortaleza. Get ready for plenty of kitesurfing and socialising – the well-developed infrastructure includes kit shops, and schools hosting courses. With the wind always blowing, you can harness the beauty of the tranquil sea lagoons. 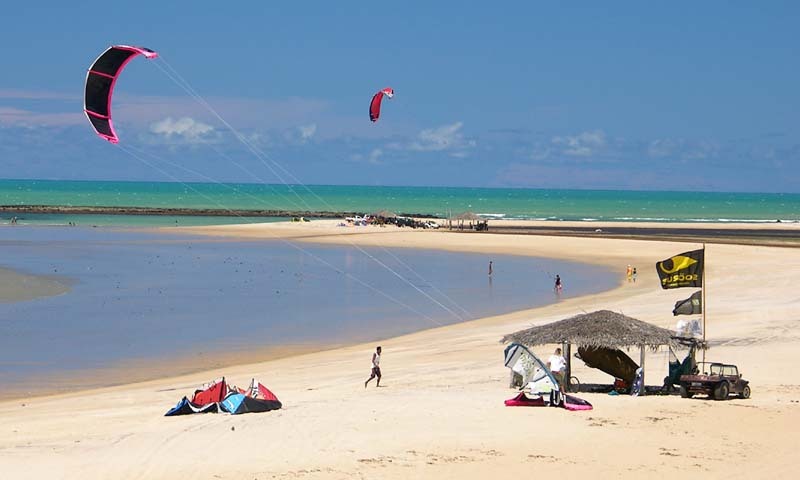 The best Brazilian kitesurfing beaches are on the North-East side of the country. But if you are visiting Rio de Janeiro you can also work in a few good surfing sessions. This 17 km (10.6 mile) beach is part of the city’s west zone. 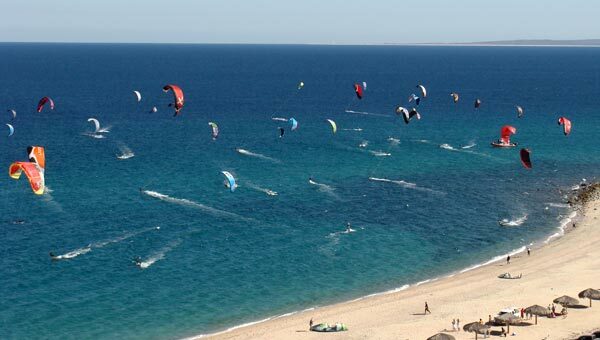 On the weekends and in the holiday season you will spot a cloud of kites on the picture-perfect blue ocean. You can easily reach it by taxi from Ipanema or Copacabana. Along the beach you will find spots to rent kites as well as a few training schools. Peak kiteboarding season at this spot is from November to January. The quaint little town has a great laid-back, rustic vibe to it. There are four beaches to choose from. The main one is sandy and flat, offering you clear shallows at low tide. The other ones offer you great wave-riding and jump opportunities. Also known as ‘little Icaraí do Amontada’. 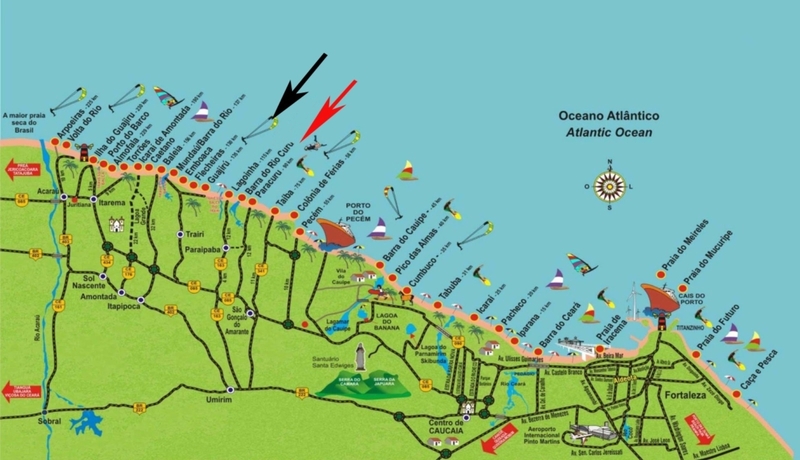 The six kilometres (3.7 miles) of beach will provide you with peaceful, perfect kiting conditions. 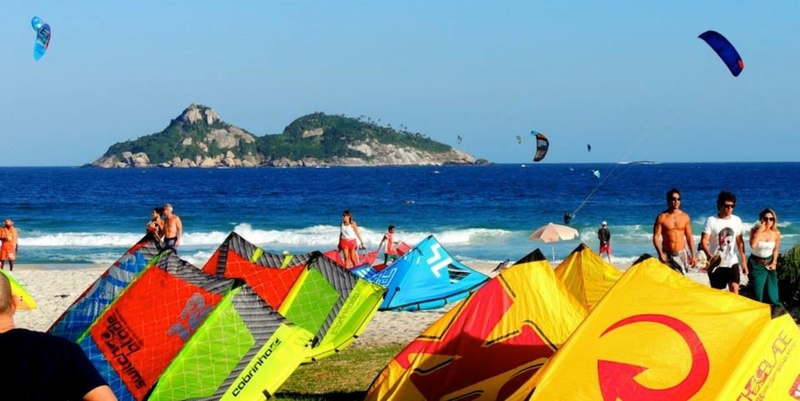 This spot is less crowded as some of the other highly popular Brazilian kiteboarding options. 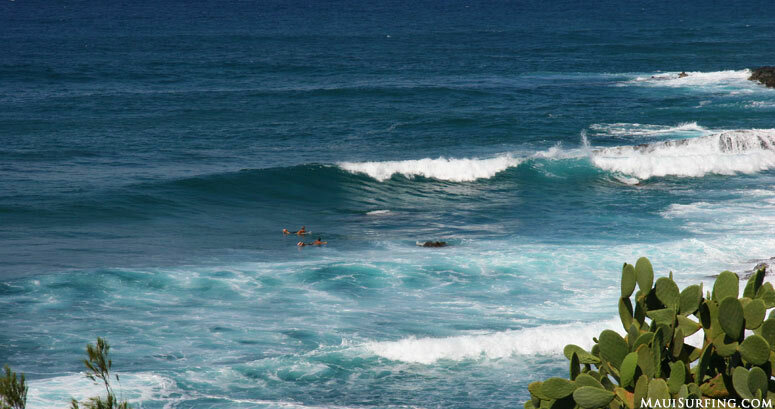 It’s ideal for surfers who want to play hard in the waves during the day and relax just as hard in the evenings. You can expect winds of up to 30 knots. It gets even stronger and blusterier in the afternoons. To the South you will find great flat areas and to the North there are great bumps and jumps to enjoy. The Northward beaches are much less known, discoveries waiting to happen. Another lesser-known spot, up the coast to the north of Fortaleza. The small fishing village is a favourite of wave junkies, with the waves hitting the two metres (6.6 feet) high mark. Serious boarders can hit the bay to bag a new trick or two, and the flat-water riders can head to the lagoon. Keep your camera ready for epic photos of Brazil at its best! Brazil boasts with some of the best wind conditions found around the world. Here you can pick and choose between the sea, lagoons, and lakes. There’s a constant wind in the North-East of Brazil. Enjoy breath-taking sunsets over the Atlantic Ocean after a day of rewarding kitesurfing in great conditions. August is such an epic time for kitesurfing as all the kiteboarding companies launch their new product ranges. Check out this interview with Airush Kiteboarding’s brand director running through the 2019 foils. Brand of the Year! Airush Kiteboarding interview with Clinton Filen. 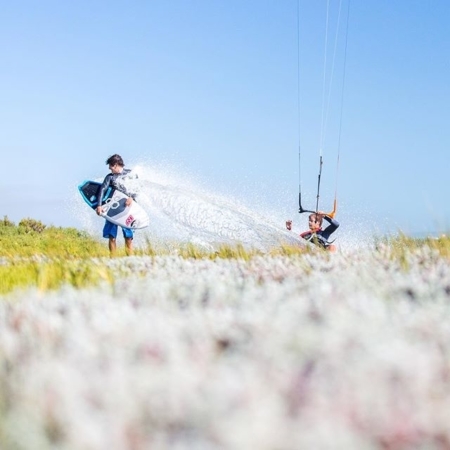 North Kiteboarding has changed its name to Duotone Kiteboarding. 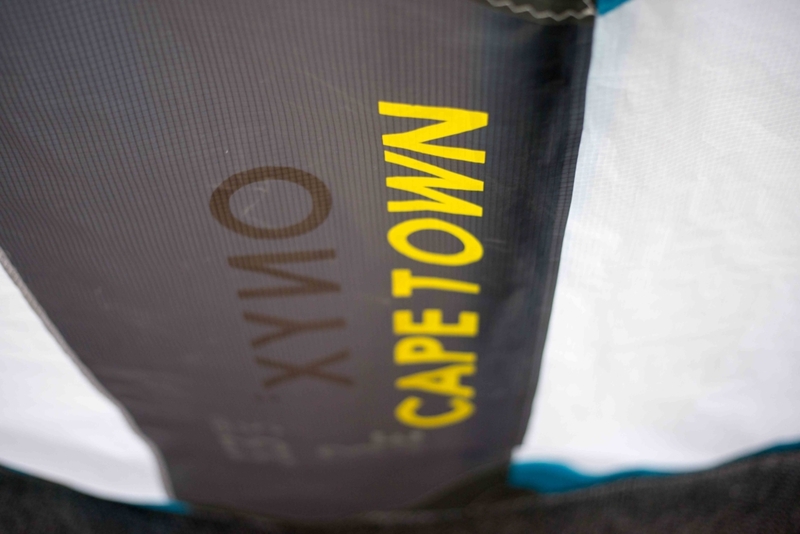 The rebranding brings a fresh, new wave of inspiration to the beloved kiting brand. But just because they’ve changed their name, it doesn’t mean that the gear’s performance will be affected. 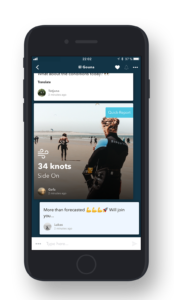 Some people in the kiting community are a bit baffled by the new name, but the company has reassured everyone that it’s only a rebranding change. 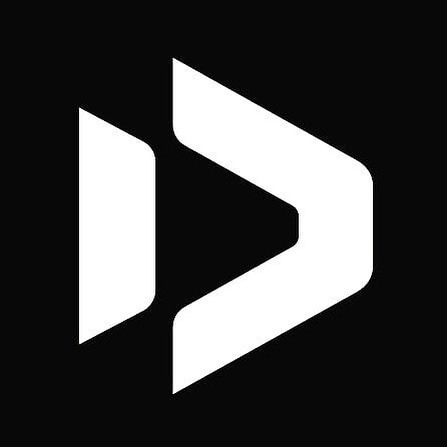 Everything else will stay the same – from the manufacturing, patents, and distribution, to the team, and designers. 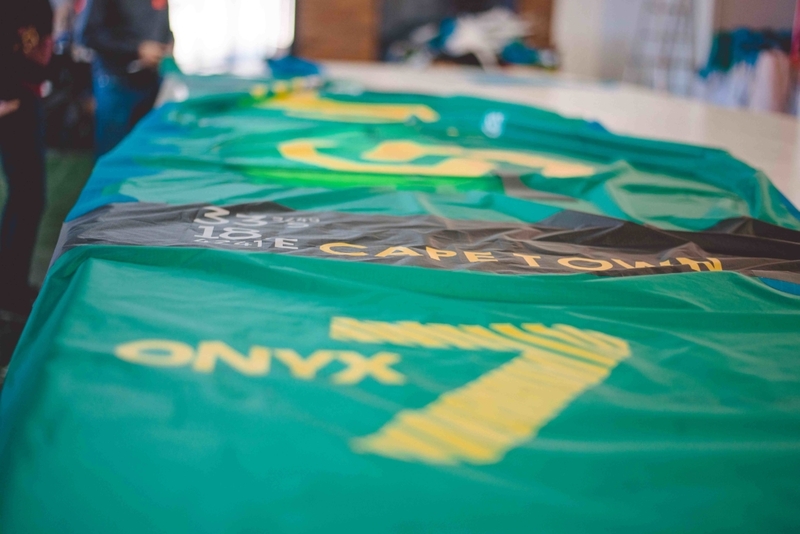 The famous brand has been serving the kitesurfing community since 2001. The official rebranding to Duotone Kitesurfing is due to take effect in August 2018. 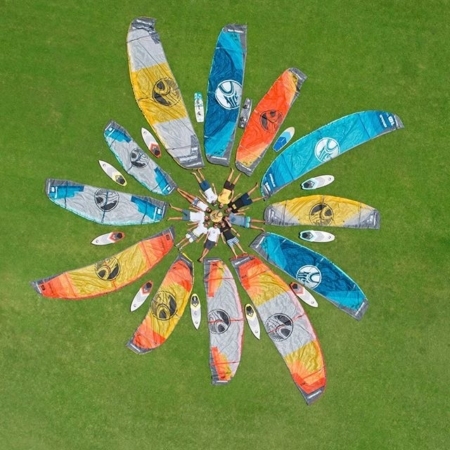 The Boards & More kite division will continue to produce cutting-edge equipment for kitesurfing enthusiasts to embrace everything the sport has to offer. 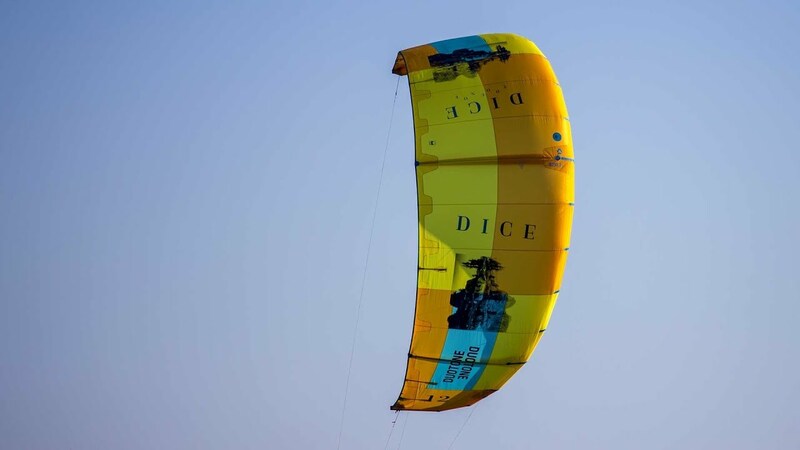 Duotone Kitesurfing will strive to remain at the forefront of advanced kiting technologies, pushing the barriers to develop high-quality equipment. The dynamic team behind the scenes will remain the same, and as passionate about kitesurfing as always. This includes the research and development department, production, distribution, and the athlete teams. Everyone is very excited about the breath of fresh air that the rebranding will bring to the company. Life is all about changing and evolving with the times. And sometimes something as little as a new brand name can spark a burst of new energy. North Kitesurfing has survived this long in the industry because of the people dedicating their time and energy to producing the best kitesurfing equipment. 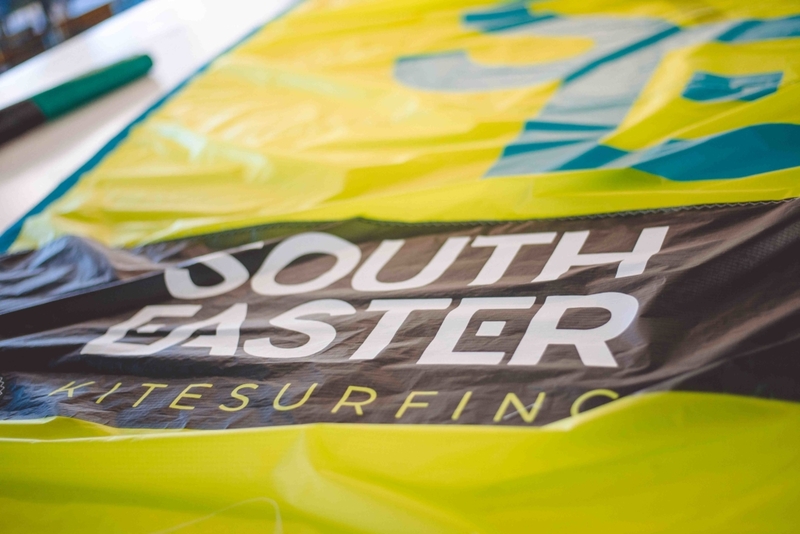 The combination of passion, knowledge, and skills enables the brand to produce the best kites and boards. 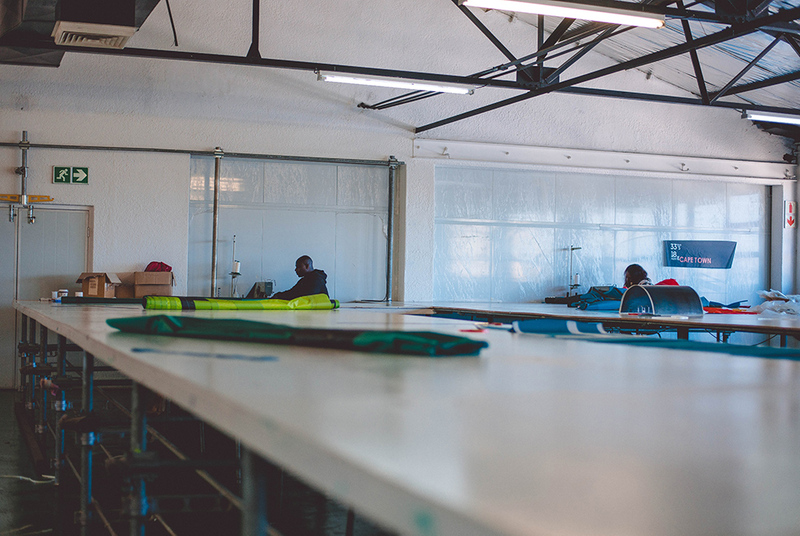 Each team member gives it their all – from the shaping room, to the sewing tables, to the product testers on the waters. A challenge is set out to the team and everybody pulls together to find the solution and to address a specific need that has been observed. Everyone can rest assured that the Duotone Kiteboarding products will be exactly the same quality as the North Kiteboarding. Aaron Hadlow hails from the United Kingdom. 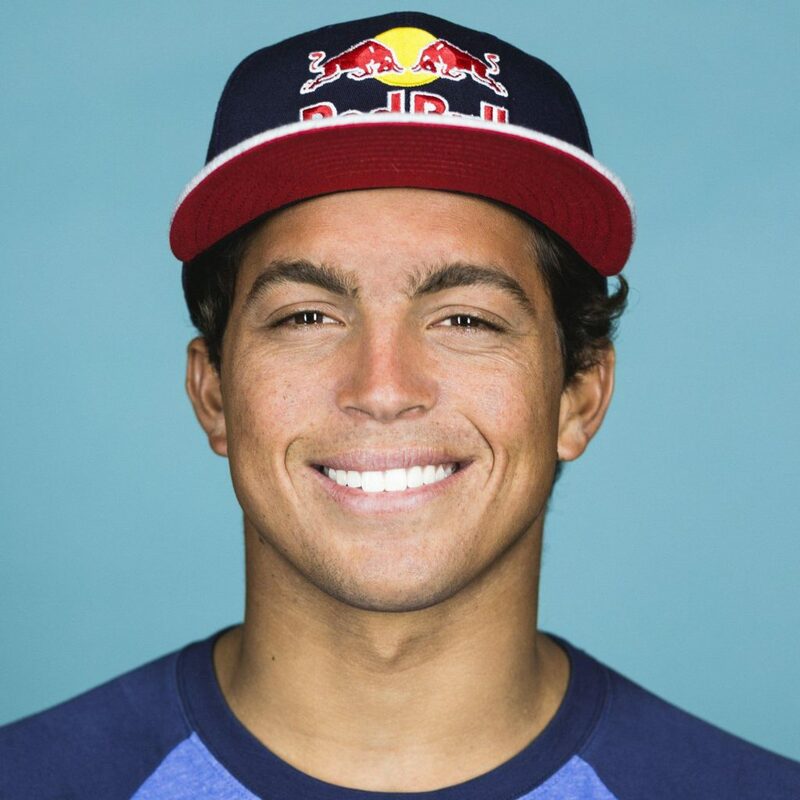 He is a five times Kiteboarding World Champion and has won the Red Bull King of the Air twice. His impressive career kicked off on a family holiday in Cabarete in 2000. Aaron’s passion and dedication to kitesurfing paid off and it seems the sport loves him right back. His career is one of the most successful ones in the history of the sport. The renowned world champion was the catalyst for the Duotone Vegas evolution. The kitesurfing community sits up and pays attention when Aaron talks and many kitesurfers adopted his Hadlow-setup for their Vegas. This formidable man is a great influencer of the sport. It’s still a bit of a mystery as to how he manages to remain so stable on his board without straps. Rumour has it, the bottoms of his feet have suction cups. Airton is one of the major influencers in strapless freestyle, wavekiting, and SUPing. Aaron and Airton were part of the first group of kitesurfers, riding the downwind from Ho’okipa to Kanaha. They jumped on the bandwagon and travelled to Maui, the Baltic Sea, and Tarifa to explore the thrilling new sport. They tried out directionals and twin tips; experimented with two, four or five lines; developed Delta-shapes, C-shapes, and safety bars. The dynamic duo has remained an integral part of the kitesurfing evolution for the past 20 years. Not only did they follow the new kitesurfing trends – they created the trends. Aaron and Airton have managed to gather likeminded individuals to create a formidable team of kitesurfing enthusiasts, who happen to get paid to produce kitesurfing equipment for others to enjoy the exciting sport. 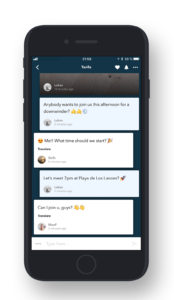 Related: Managing Director of Boards & More, Till Eberele, talks about the exciting new Duotone brand. It’s a hands-on industry, engineers or team riders hit the water every day to test out new products. Everybody working at Duotone Kitesurfing wants to push the sport to the next level. 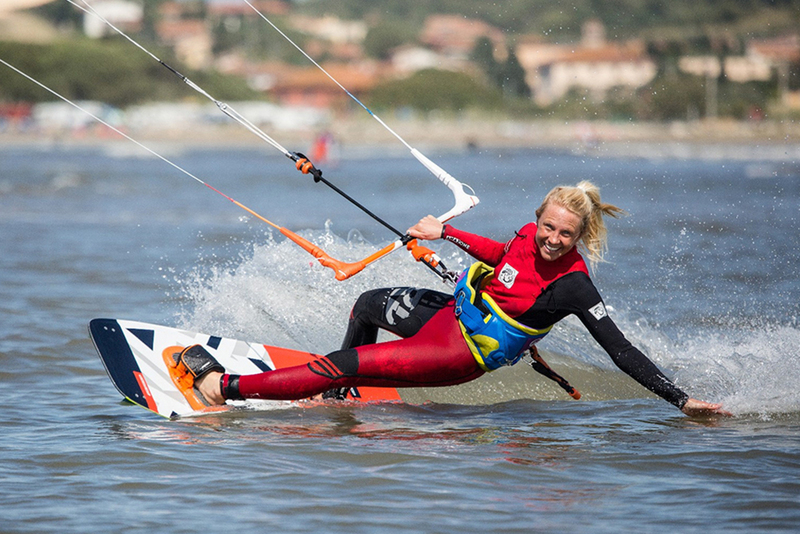 Since the early days of kitesurfing, the sport has rapidly evolved and progressed. But the end is not in sight yet, there’s always a little tweak that can produce an even better kitesurfing experience. Innovation is an integral part of the Duotone Kitesurfing philosophy. Instead of sticking to what works, they take what works and strive to make it better. Together with innovation, high-quality is another important value they always strive to maintain. Because the team members are kitesurfing fanatics, the products produced are not simply about the money – it’s about a way of life. Duotone Kitesurfing is more than just a kitesurfing equipment manufacturer. They have kitesurfing schools and competency centres around the world, using their products to introduce new people to the sport, or to share the insider tricks and tips with those already hooked on kitesurfing. The Duotone Rebel and Dice is scheduled for release in August/September and the Vegas and Neo shortly thereafter. Duotone Twintips and Surfboards will follow the August kite releases. In November/December the Duotone Evo will be available and the Duotone Mono and Juice is scheduled for the spring of 2019. The availability depends on the production speed. Shipping and customs protocol to a specific country will also influence the availability. Want to become part of the kitesurfing community? 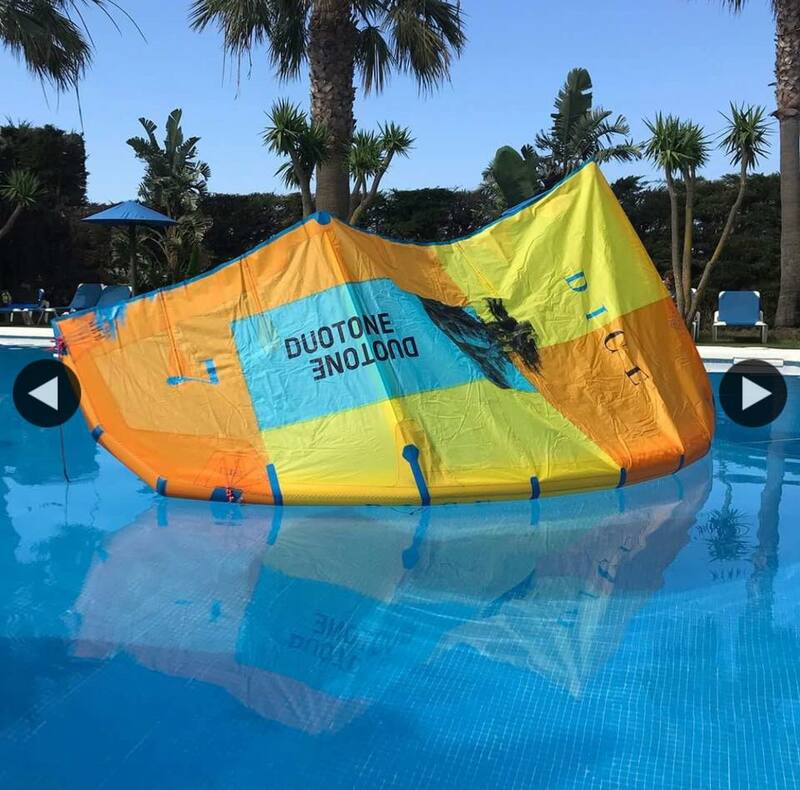 Sign up for the Duotone Kitesurfing newsletter to stay in the loop with all the latest kitesurfing trends, news about team riders, and exciting new products. The Cabrinha Kiteboarding 2019 launch is almost upon us, and in this video we get the first taste of what is to come. The video shows some great news colours, a new foil ecosystem – Hi:Rise, a new kite called the Moto, some new surfboard shapes and new premium bindings. The video only offers a taste of what is to come and we cannot wait to see more. The full launch happens on the 14th of August 2019, so keep coming back for more snippets before then. 4 Days to go! The best-selling kite of all time has gotten another upgrade for the 2017 kitesurfing season. 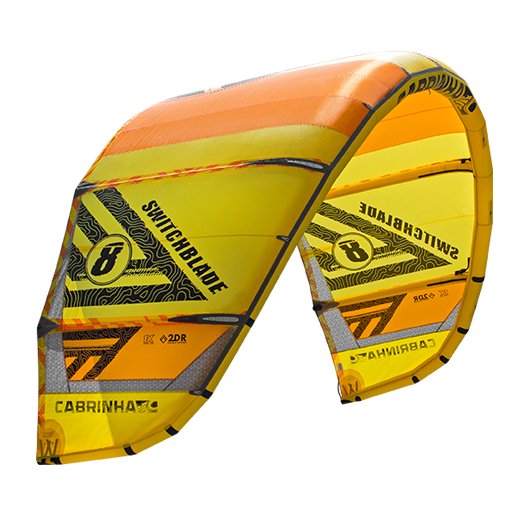 Cabrinha is proud to present the all-improved 2017 Switchblade, which is widely known among kitesurfers as the most versatile kite on the market, with its five-strut hybrid design, draft forward profile, and fusion wing-tip shape. For 12 years in a row this kite has been flying off the shelves because it is just such a high-performance crossover kite for any type of rider, whether they freestyle, freeride, do big air jumps, or merely want to ride the waves. But what makes the 2017 model different from previous models? Kitesurfers will be happy to know that the kite still flies the same as the older models and that the upgrades mostly entail higher durability. On average, a kite that is used about 50 times a year will last approximately three years. We have made a few changes in the material of the canopy and bridle lines and adjusted a few sewing points, which result in less stretch. 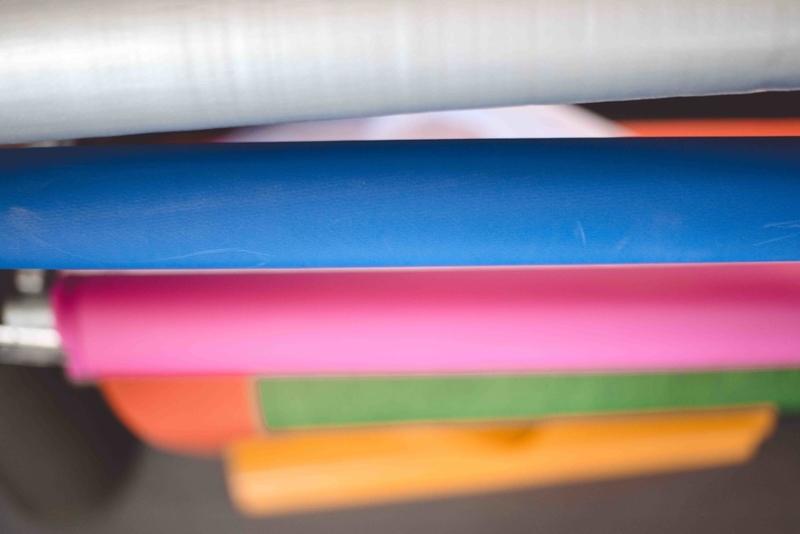 The new Volae materials have taken five years to develop, and deliver the lowest stretch available on the market. This means that the new Switchblade will be able to endure the harsh effects of the sun and wind a lot longer and you will be able to enjoy the new Switchblade for a few years more than the average kite. This is a big plus point for beginner riders who can’t afford more than one kite. 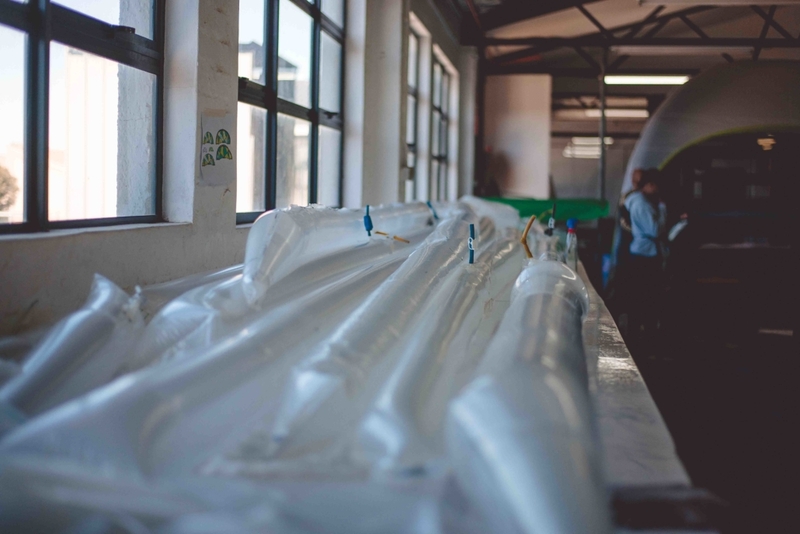 We have also upgraded the sprint hose connections with a one-way airlock for faster inflation and deflation time, and the new trailing edge reinforcements afford greater stability and control. 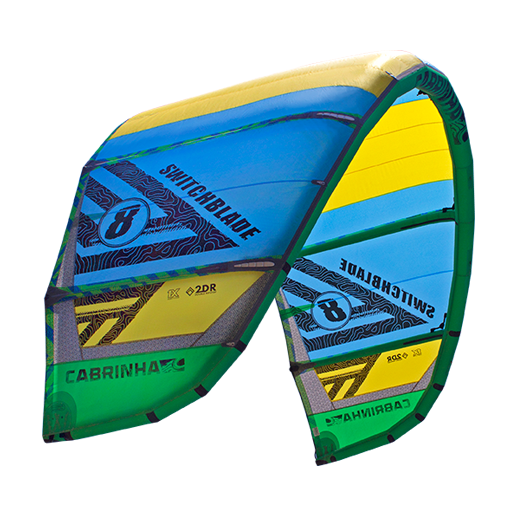 The Cabrinha Switchblade is the perfect kite for almost all types of riders, whether you are a beginner or a pro, you like flat or choppy water, you like jumping big or riding the waves, or whether you want to ride unhooked, the Switchblade makes all of these a breeze (in both a breeze and gale-force winds). No matter the wind conditions or the angle of attack, the five-strut design will hold the canopy true to its shape, which results in more responsiveness and control. To bridge the gap between a segmented and curved canopy, we doubled the aerodynamic control by cutting each canopy panel in half at the centre section, which provides the decisive curvature control where 90% of the kite’s performance originates. The Switchblade’s handling is extremely predictable, with smooth power delivery which is perfect for sharp and precise turns. 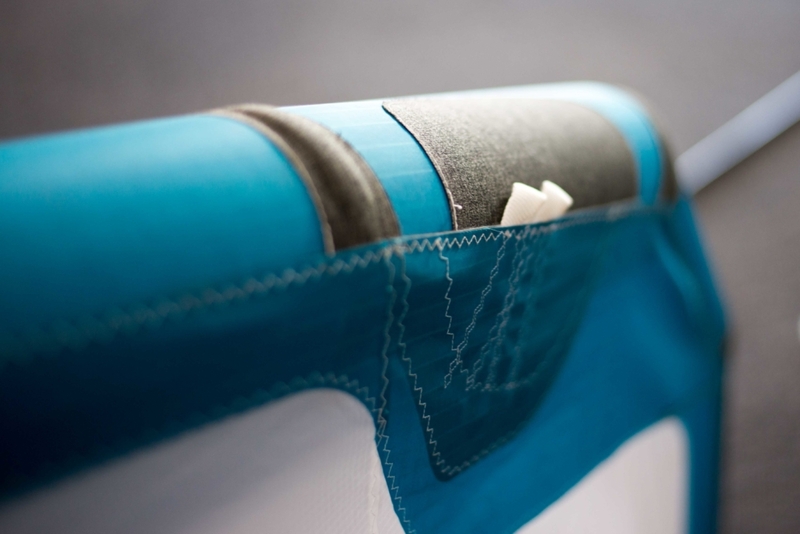 It has a great upwind performance, resulting in exceptionally high hang times, and is very easy to relaunch. It is perfect for the rider who wants predictability, high-end performance, style, power, and craftsmanship. 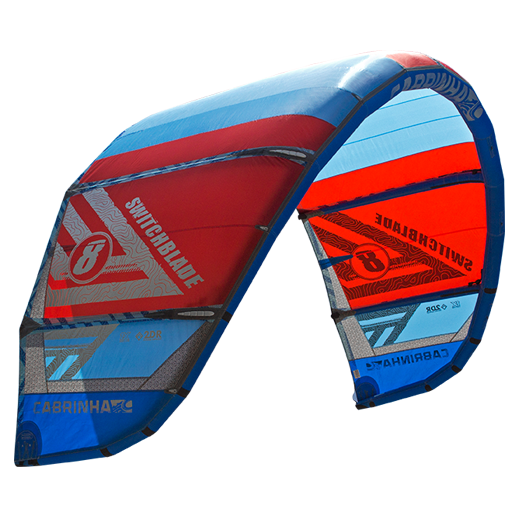 So if you are an experienced rider looking for an additional kite or want to replace an old kite, or if you want to start kitesurfing, the 2017 Switchblade is an obvious option. It is available in sizes 4 to 14, and costs the same as most other high-performance kites on the market. 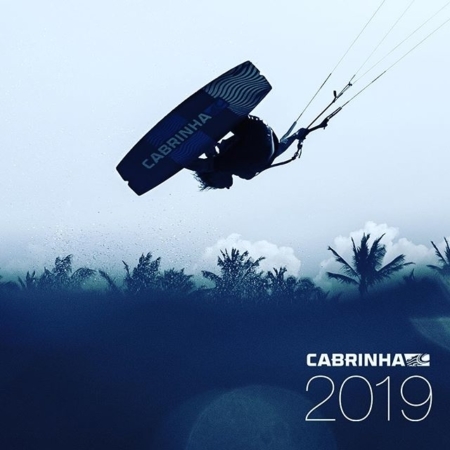 Drop in at your nearest Cabrinha dealer and see for yourself why the Switchblade is the best-selling and most popular kite of all time. You may just end up never wanting to fly any other kite again. The watersports industry and watermen around the world have been going crazy over Kai Lenny’s latest stunt. 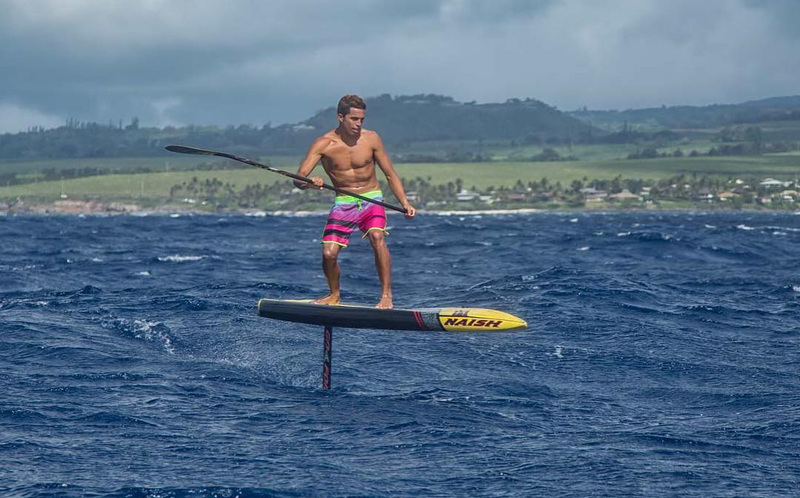 The Hawaiian waterman has released a video showing him using a Hydro Foil on a stand up paddle board to down wind at unbelievable speeds and get runs that lasted 300 yards. The internet was abuzz at these visuals but many didn’t believe that Kai could get enough speed to rise up on the hydro foil and surmised that he hd been towed into the waves as there was no photoage of him actually paddling on a wave and launching onto the Hydro Foil. Cape Town was known by mariners because the Cape of Storms. During winter huge surges water smash their way onto (as well as over) among the most beautiful seaside walkways on earth. The Atlantic coastline outside Cape Town is fabulously attractive – however in winter it’s an issue to acknowledge exactly how stunningly, mindbreakingly wonderful it can be under the summer sun. 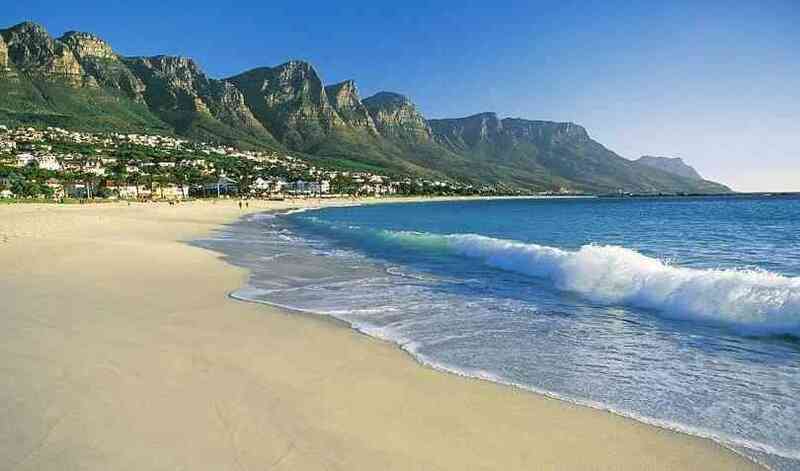 Cape Town advantages from a Mediterranean climate which makes the winters cold and wet along with the summers absolutely glorious. And once visitors arrive in the summer the Cape delivers probably the most wonderful vistas and weather in the world. To top it well beaches are spectacular. It is a place which includes year in and year out received recognition as the most wonderful beach and surf destinations in the world. What visitors might not realize is the fact Cape Town is a lot more than others wonderful pictures that this tourist brochures show. That’s the Atlantic seaboard. The beaches are fabulous – among the best worldwide. The Atlantic Ocean washes on shores that happen to be pristine pristine along with the connection with simply lying there beneath the African sun can be something that will never be forgotten. However there’s another coast (keep in mind that Cape Town is with a peninsula which has two oceans that lap at its edges), one where the Indian Ocean offers another (and warmer) experience. 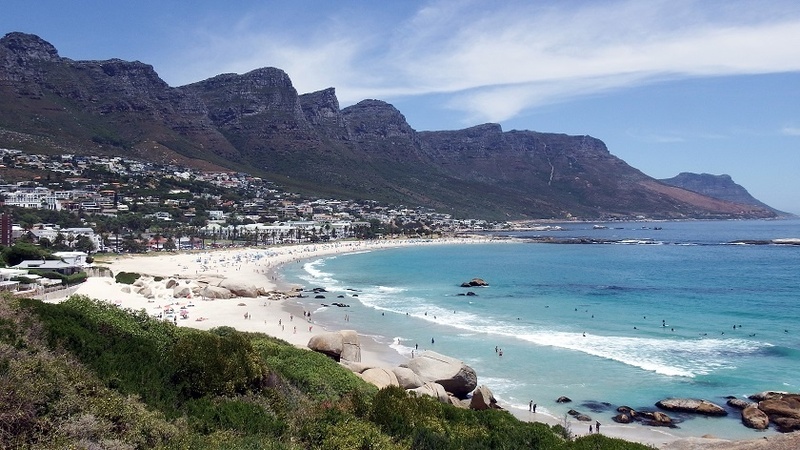 So – what are the best beaches to have if you arrive in Cape Town? First let’s take a look at the Atlantic seaboard. This is certainly undoubtedly Cape Town’s trump card. The beaches have exceptionally pristine white sand, they’re sheltered as well as the ocean is magnificent. The process is it’s also cold. Extremely so. As inviting as that ocean looks there’s a good reason the surfers wear wet suits. That water sweeps in in the arctic. However – if you’re wanting to get that sun bronzed African tan there is a couple of beaches that you should look at. Certainly just about the most beautiful beaches on the planet. And you’ve got a choice of places to place your towel down. Clifton has three choices – each using their own distinct personality. First beach is made for families due to the easy accessibility through the parking areas. Second beach might be accessed via the stairs – but be ready for a certain amount of exercise. Here is where the bronzed beauties spend time. Third beach is the place where locals spend time – smaller compared to the other two – but definitely worth the effort. There’s a fourth beach if you are like a bit of a stroll – and its fabulous. For reasons unknown, maybe distance many people ignore the possibilities of this beach which lets you just relax from the crowds. Miles of sparkling pristine and easy access (about 10 foot) from your road. A fantastic beach with as much space as you may want. If you are searching for any beach that will permit your children to work free this is basically the location for you. Quick access to restaurants and great people watching this can be a beach that Capetonians love. You are going to not get a more attractive stretch of sand elsewhere in the world. Parking is surely an issue in high season – but wow! It’s really worth the walk from a couple of blocks away. Sandwiched between Camps Bay and Clifton can be a small, but perfectly formed beach that is a local secret. Ask a Capetonian and they’ll direct anyone to this stretch of sand. It’s the haunt of surfers and people in the know. A wonderful place to just chill out and relax Glen Beach is ideal for those who just want to chill out. If you wish to give that rental car a little bit of exercise you are able to head for Cape Point along the coast road (and some of the best views on earth) on the way you are going to turn a mild corner and see a stretch of beach that is certainly almost unrivaled. This can be 5 mile beach in Noordhoek. There is absolutely no way this beach is ever getting crowded. It’s enormous. The Atlantic Ocean kisses miles and miles of pristine white sand. You should work with a horse, because this is a beach that is perfect for galloping. Swing over the peninsula and you’ll attend the foot in the much warmer Indian Ocean. Muizenberg boasts exactly the same sparkling appeal in the Atlantic beaches – however the ocean is warm. For this side from the Cape Peninsula you get access to great restaurants, fabulous sand and ideal salt water fun. Really worth the half an hour it will take to get rid of yourself from those tourist hordes that swamp Cape Town during the summer season. Recommended. Swimming must be the initial watersport that’s been used since the beginning of time, however, presently there are newer, more extreme sports which have taken over the water and they’re becoming actual destination sports. By that we mean, people are actually taking vacations to far-away destinations simply to practice their best watersport in which the conditions and scenery are perfectly spectacular. Let’s examine among the most popular watersports of today, and the kinds of places their fans congregate. Many people may feel that diving isn’t exactly an activity, but people who travel 1000s of miles to dive will all disagree. The wonderful wonder of looking at all of that nature provides around the reefs of the world will continue to draw in fans would wide. 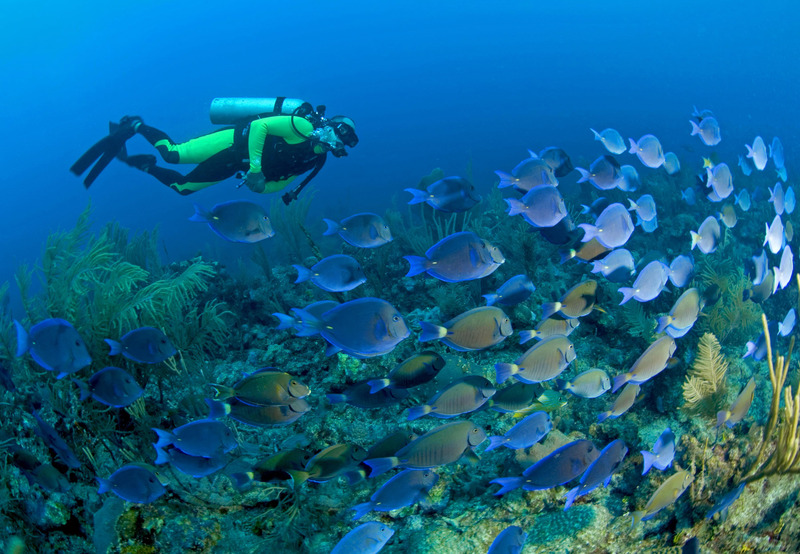 The reefs from the Caribbean are fairly near The United States and will offer some of the best diving and snorkeling that can be found. Off of the coast of Honduras, there are two great islands called Utila and Roatan that provide deep-sea diving classes and certification at a very reduced price. You can remain at one of many backpacker hostels for as low as $10 per night whilst you take your daily classes on the world recognized diving schools, then spend the afternoons snorkeling. The incredible wonder of the reefs are accessible from shore, or you can rent boats or take trips to miles and miles of different parts of the reef. These beautiful Bay Islands are loaded with English and Spanish speakers to aid with every need you might desire. A lot of people haven’t actually heard about kiteboarding, however they may have seen one rather than known it. 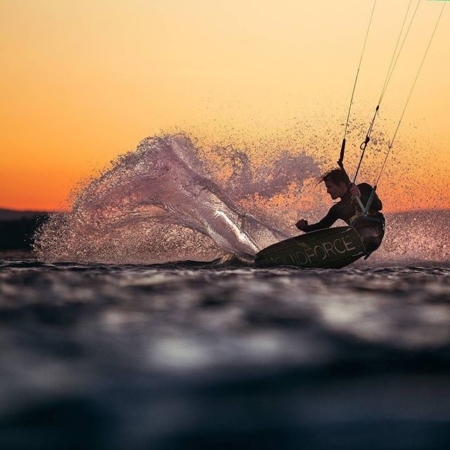 If you’ve seen a windsurfer, you get the standard idea, but a kiteboarder has a smaller board, similar to a snowboard with boots attached, and they get pulled such as a water skier with the kite. The thing that makes this a fantastic sport is that the smaller boards are definitely more maneuverable for quicker turns, lighter hence they gain air while jumping, simple to drop by pulling a cord and plenty of fun to have an entire family. These day there are 1000s of resorts that are adding kiteboarding areas to enable them to attract the tourists in search of the best time. There, you’ll be able to take short classes concerning how to begin, be safe, and do tricks within a short time. Other great reason why kiteboarding is so favored by the extreme watersports enthusiasts is the boards in addition to their kites are super easy to pack and undertake an airplane without extra charges. Anywhere there are water and wind they’re simple to operate, and because of recent improvements in technology, the game is now safe enough for the whole family to discover. The kiteboard is fairly inexpensive to obtain and straightforward to maintain. Kiteboarding resorts are popping up in places like Baja California, Mexico, Grand Cayman Island in the Caribbean, and plenty of great places in the Philippines, Hawaii, and in many cases California as well. Jet skis have invariably been a thrilling time making use of their power and ability to fly from the waves. One huge advantage in the jet ski is its capability to be applied anywhere where there is water since it doesn’t rely on the wind. Which means that any lake, river or ocean location the allows them, might be a good place to go. By not having traveling long distances to take pleasure from your watersport you get the cabability to go to the river on any free day you have providing you have your own personal equipment. Many places that happen to be popular, will also have rentals readily available for hourly or daily fees as well. As the sport may cost a little bit more upfront, the wide availability of water around the world causes them to be more usable every day. If you’re into watersports there’s no reason at all why you should limit yourself to merely one. Some sports, like kiteboarding are fairly inexpensive to start, although some like snorkeling can be carried out for up to free. 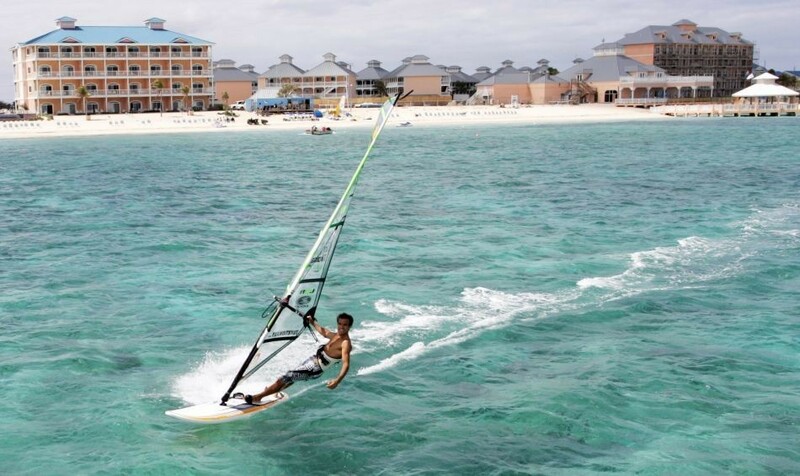 It is possible to head over to some places like the Honduras Bay Islands and take advantage of 2 or 3 of the very popular watersports all-in-one day if you possess the stamina. Kiteboarding is much like windsurfing, if you’re knowledgeable about that, it possesses a smaller sail as well as the board is smaller, which makes it a lot easier to travel with to far destinations all over the world. 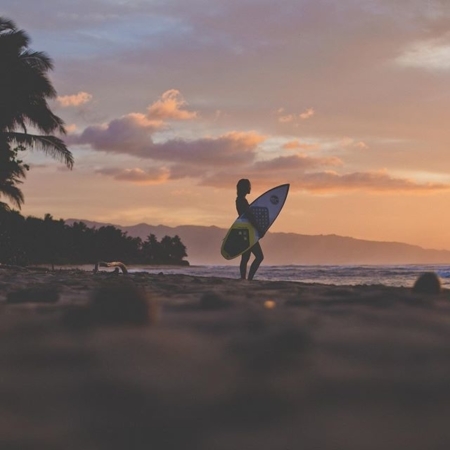 You will still find lots of people that debate that is better between kiteboarding and windsurfing, we’ll look at some of the differences and look into the very best 5 Kiteboarding destinations as well. Both take the time to discover, and in case you don’t have time and effort it’s best that you just enroll in some lessons to speed things up. A kiteboard needs less wind to use and because it’s smaller it’s also quicker to maneuver for jumps and tricks. Also, as a consequence of it’s smaller size it is going to go faster, it’s easier to pack, much easier to haul, and to take with a plane. Smaller size of the kiteboard means that there are much more enthusiasts making use of them when you get to far away destinations. Windsurfing boards a wide range of times very expensive to take on vacations, so they get left behind in favour of the kiteboard. Now that there are more safety measures and equipment, there are far more people than before taking on the game. The smaller kiteboards that are offered for youngsters can help them begin a slower, easier to control board where they can learn all the basic maneuvers without having probability of injury. 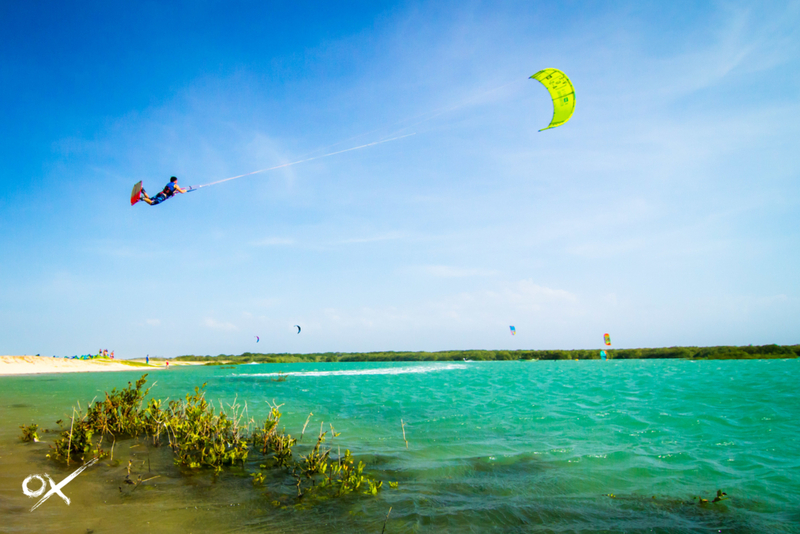 It’s now possible for entire families to experience the sport on kiteboarding vacations to exotic locations. Considering that the kites are far cheaper than windsurfing equipment there is no reason why the whole family can’t get their own board. You can find new composite materials being invented for future years from the sport, but they’re not necessary to have fun and have fun. There will always be lots of disagreement around the the best places to kiteboard, but everyone will simply have to check out these places for their own reasons to choose. This is with the Caribbean Sea hence the water is a warm 80 F temperature year-round and the sky will probably be blue nearly every day. There are actually constant warm winds across the island and several bays to avoid to for tranquility at the same time. There may be a whole lot room that lots of countless boarders can all have plenty of space to themselves, pros or beginner alike. The Cayman islands are some of the safest places on the planet to experience crime free vacations without worries. The Hawaiian islands are an incredible place to view the sites while kiteboarding as the best thing about the islands is stunning. The wind is strong and ever present with very clean beaches, some areas have smooth water for fast sailing while other places have ample waves for jumping. There may be great food beachside because the main kiting beach opens at 11 AM you’ll have plenty of time for a few drinks plus some pit roasted pineapple pork prior to getting started. Jupiter is about the southeast coast of Florida and contains a great number of smooth, rough and wavy water conditions. The weather is great, water warm, lessons and rentals can be found too. There’s the beautiful Jupiter Inlet Lighthouse to check out within your spare time. The nearby reef helps make the water conditions super smooth whilst the wind is blowing nicely. You may get up an excellent head of steam and extremely cover water, or visit the breaking waves a quick distance away and catch some air if you want to. La Ventana, the wind, is aptly named as the wind is definitely blowing here. The beach is large, water superb, and the weather conditions are most perfect in the fall, winter and spring months in the US. There is certainly snorkeling, diving, kayaking, and fishing all available with rentals and cabins nearby. 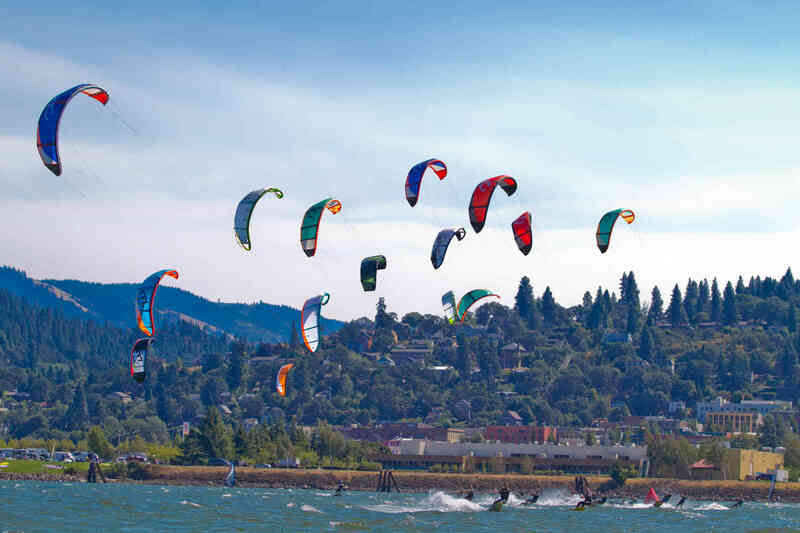 In the event you haven’t tried kiteboarding you should head over to any nearby location and rent a board. You’ll be very impressed at how quick it is actually to learn and fun it really is to accomplish. Then start scheduling your own personal vacations to check the waters worldwide.